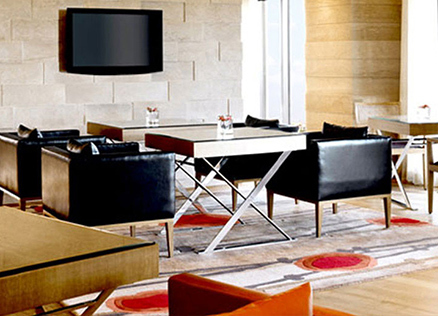 Trident Club caters to the business traveller's need for comfort and convenience, where time is of the essence and ease to conduct business, a necessity. Business guests staying at our hotels in Mumbai: Trident, Bandra Kurla and Trident, Nariman Point can enjoy accommodation on our exclusive Trident Club Floors, with all the complimentary privileges designed to make your business trip, problem free. Guests will also enjoy exclusive access to the Trident Club Lounge. The many exclusive privileges on offer for Trident Club members include an exclusive reception with express check-in and checkout, 24-hour access to high-speed, complimentary Internet, a round the clock personal butler service and a one-way, luxury air-conditioned car transfer to or from the airport. Trident Club guests can also enjoy access to the exclusive Trident Club Lounge, where breakfast can be taken every morning and where complimentary cocktail hours can be enjoyed every evening. A dedicated Trident Club Manager is also on-hand to ensure a prompt and effective response to all Trident Club guests’ requests and enhance your stay experience. 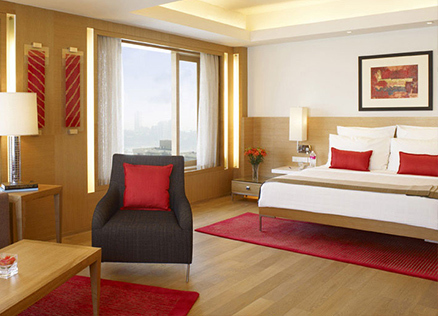 Guests staying with Trident Club at our hotel in Mumbai, Trident, Bandra Kurla can enjoy accommodation on the exclusive Trident Club Floors, which are located on the ninth to the eleventh floors and are accessible by a dedicated elevator. The many privileges on offer to enhance our business guests’ stay experience include express check-in and check-out at an exclusive Trident Club reception, complimentary high speed Internet access, a round the clock personal butler service, a one-way, luxury, air-conditioned car transfer to or from the airport and a lavish daily breakfast at the exclusive Trident Club Lounge. The exclusive Trident Club Lounge also hosts complimentary cocktail hours every evening, and is attended by a dedicated Trident Club Manager who will ensure a prompt and effective response to all your requests. Guests staying with Trident Club at our hotel in Mumbai, Trident, Nariman Point can enjoy accommodation on the exclusive Trident Club Floors, which are located on the 28th to the 31st floors of the hotel. Guests can enjoy a host of exclusive privileges, designed to save business traveller's time and to make their stay comfortable and convenient. Trident Club guests can enjoy a host of privileges like express check-in and check-out at an exclusive Trident Club reception, complimentary high speed Internet access, a round the clock personal butler service, a one-way luxury, air-conditioned car transfer to or from the airport and a lavish daily breakfast at the Trident Club Lounge. The exclusive Trident Club Lounge also hosts complimentary cocktail hours every evening, and is attended by a dedicated Trident Club Manager who will ensure a prompt and effective response to all your requests.